For the See. Say. DO exhibition/event I will perform my multimedia dramatic work SenseAbility, and I will conduct related discussions with audiences about themes presented in the show. SenseAbility explores how our personal experiences and cultural narratives help us navigate our ongoing struggle to make the world a better place. The show is about individual and community responsibility and accountability. Inspired yet haunted by the voice of Elijah, I invite the Prophet into our time, imagining him on a shared journey of transformation. I weave music and visual textures with memories of Bethlehem and new family connections in the West Bank, probing issues related to Continuous Traumatic Stress Disorder, a multi-generational stress condition experienced by millions of people living under sustained occupation in the Palestinian territories. In SenseAbility an immersive sensory landscape surrounds the audience with the sounds, sights, smells, tastes… even the touch and feeling revealed in the visceral experience that is inescapable in a life under sustained occupation, utilizing a multi-channel sound system, multiple video projectors, music performance and live acting/story telling. 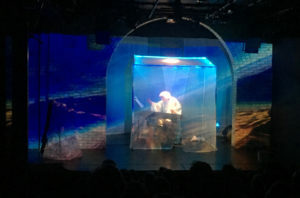 The performance space can be configured to suit the situation, but needs sufficient space to move, see projections (approx. 20’ x 16’ performance space plus audience). Discussions are intended to highlight the experience of people living under occupation in the Palestinian territories, and also draw connections with related experiences of multi-generational stress experiences in communities in the United States. Murad Owda grew up and currently lives in Dheisheh Refugee Camp in Bethlehem, West Bank. He holds a MSW degree from Washington University in St. Louis, and currently works for Badil, an NGO in Bethlehem that focuses on the lives and rights of Palestinians. I hope that Murad will be able to join discussions in person, but we don’t know whether his Visa will be approved in time for October 2018. If he is not here we will do what we can for him to join via Skype or Zoom. Craig Harris is Artistic Director of Interference Arts and is a composer, performer and writer. 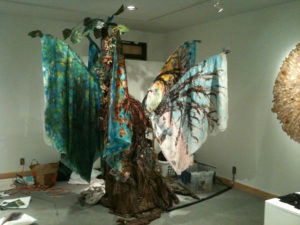 Harris creates multimedia stage works and interactive sculptural environments. He has collaborated with dance theater companies Ballet of the Dolls, Zorongo Flamenco, Off-Leash Area and Katha Dance Theatre, and served as Music Director on many theater projects.